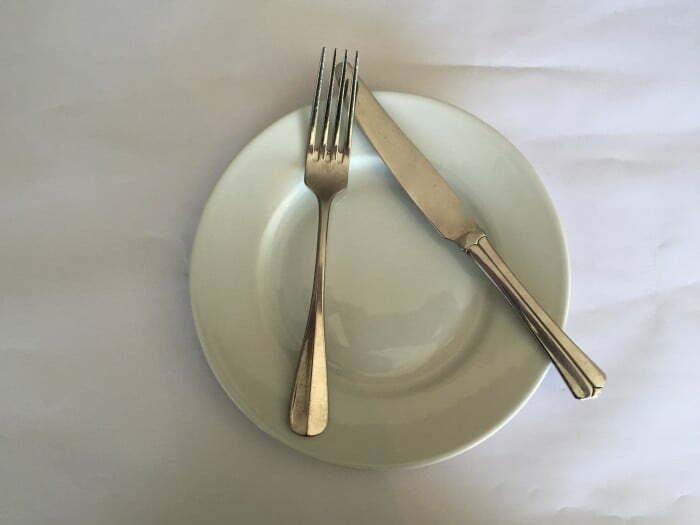 We spoke to a few experts who work at some of Sydney’s most fine dining establishments to get the down-low on the do’s and don’ts of cutlery etiquette. 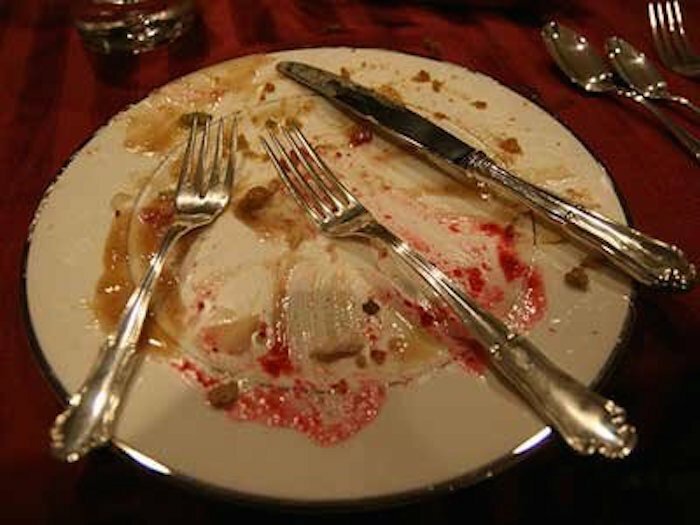 If you are talking around the table but haven’t finished eating your meal, you shouldn’t hold your cutlery in your hands. Rather, rest them on your plate in an upside down V with the tips of the utensils facing towards each other. It is also acceptable to rest your knife along the top of the plate, with the fork pacing vertical. 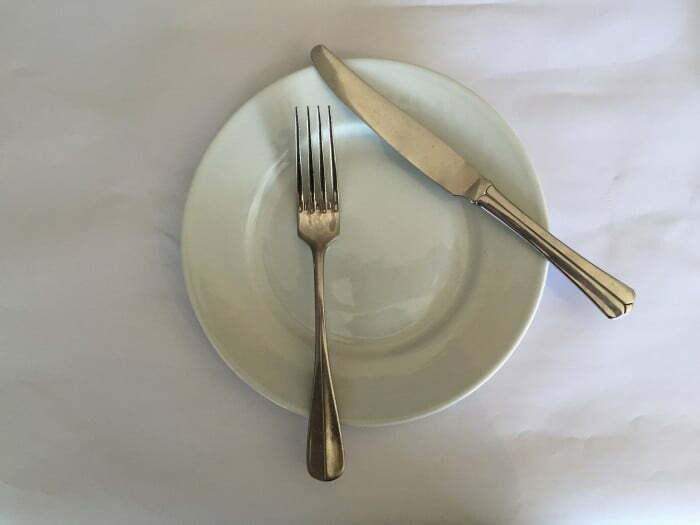 Place your knife and fork together in the centre of the plate, pointing to twelve o’clock. This will indicate to your attendee that you have finished. 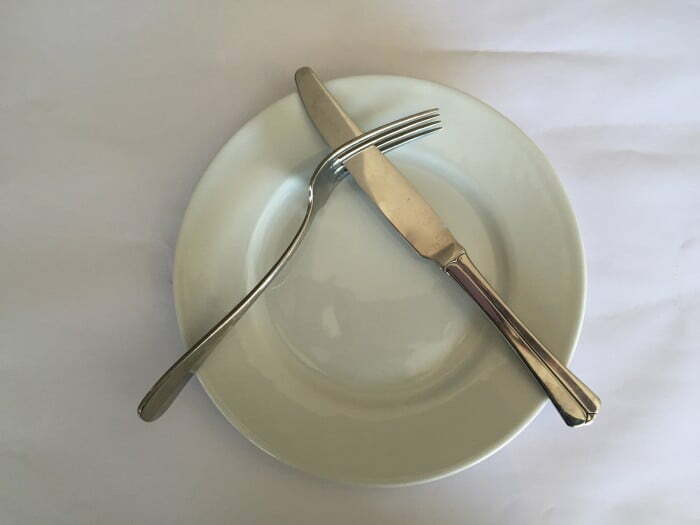 It is okay to place it pointing any position on the plate as long as the utensils are parallel to each other. 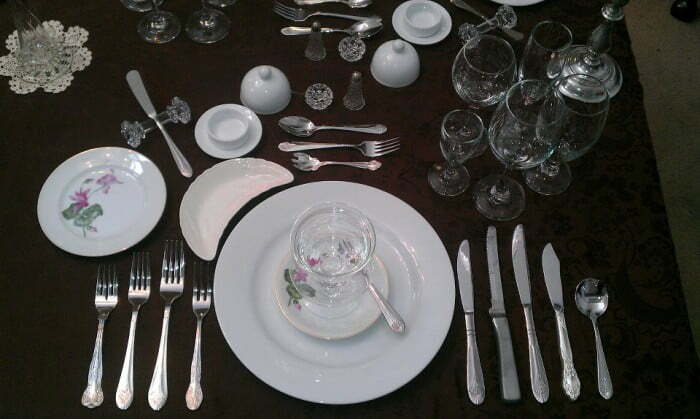 For a meal with several courses, there is another visual clue for how to place your utensils. 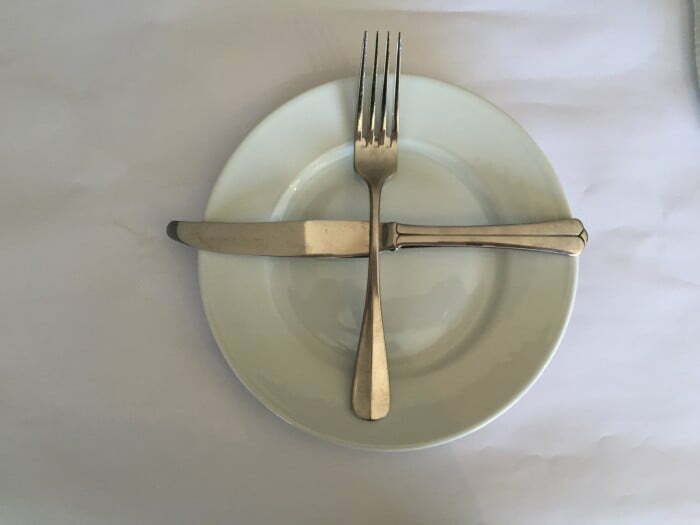 Place your knife and fork in a cross on the plate, with the fork pointing vertical and the knife pointing horizontal. 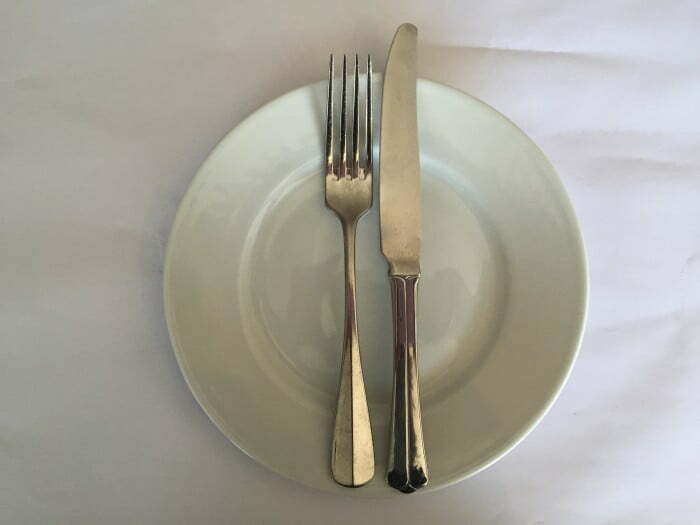 If you really enjoyed the meal and want to show your server, place your knife and fork horizontally across the plate with the blade and tines pointing right. This will also indicate you have finished. The correct etiquette for indicating you didn’t like the meal is to place your knife’s blade through the fork’s tines in a V. This visual clue is very similar to “I have not finished,” so be sure not to mix these two things up. With several forks and knives and spoons on the table before you, you may feel a panic attack coming on, trying to figure out which one to use. But there’s a simple solution. Start from the outside and work your way in. 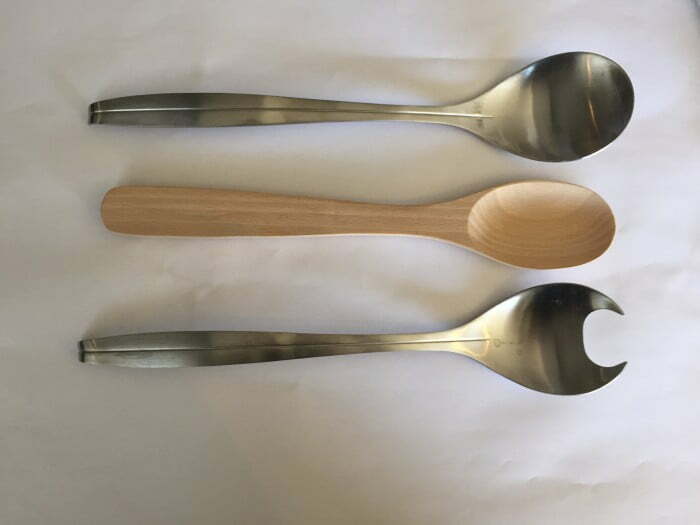 The utensils on the outside are the ones you use first, and the last course will be the pair of utensils closest to your plate. Easy! In order to not stain the beautiful white tablecloth beneath, never place your utensils on the table cloth after using them, but always make sure to place back on the plate. The salads, mashed potatoes, roasted vegetables or whatever food sits in the centre of the table to share, should have their own sharing utensils, so you should never use your own. 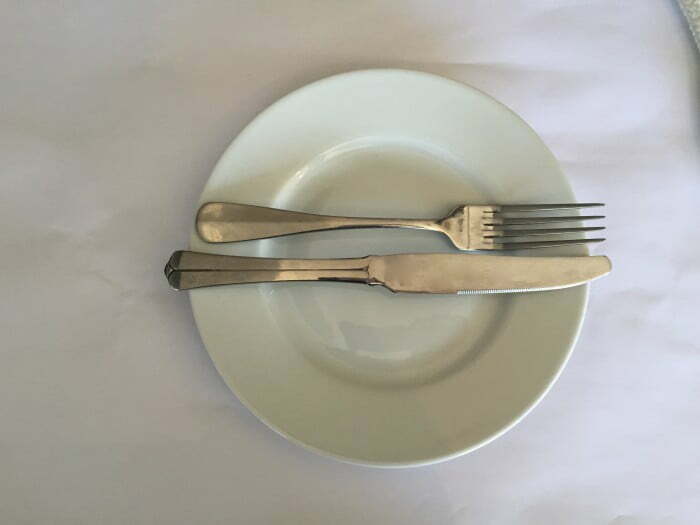 Unless you want to indicate “I don’t know my table manners,” these are the big no-no’s in cutlery etiquette. 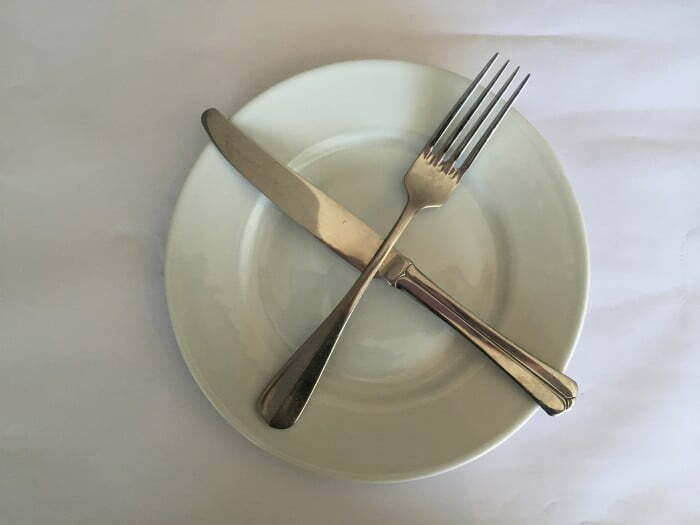 Do not cross your knife and fork in an X on your plate. It’s a nightmare for the waiter to try and pick up and no one wants used cutlery slipping off a plate. Do NOT lick your knife, no matter how mind-blowing that sauce is. Do NOT use your fork and knife to gesture or point at other people. 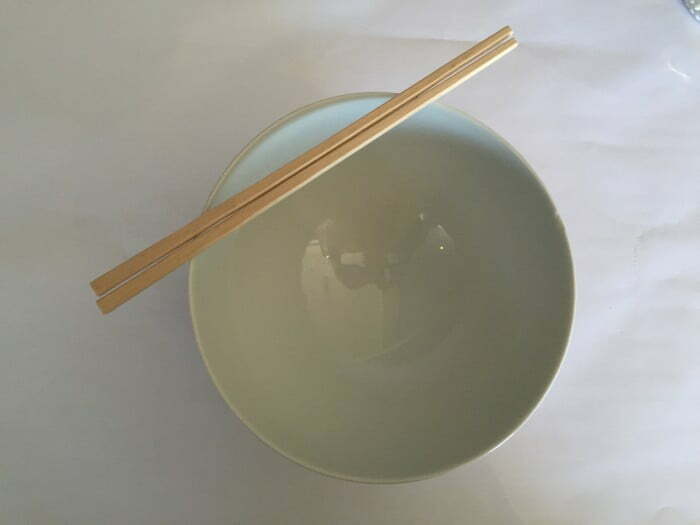 We love our Asian food in Australia but, many of us are guilty of breaking proper etiquette when using their eating utensils. So, here are some tips for your next yum cha or sushi session. 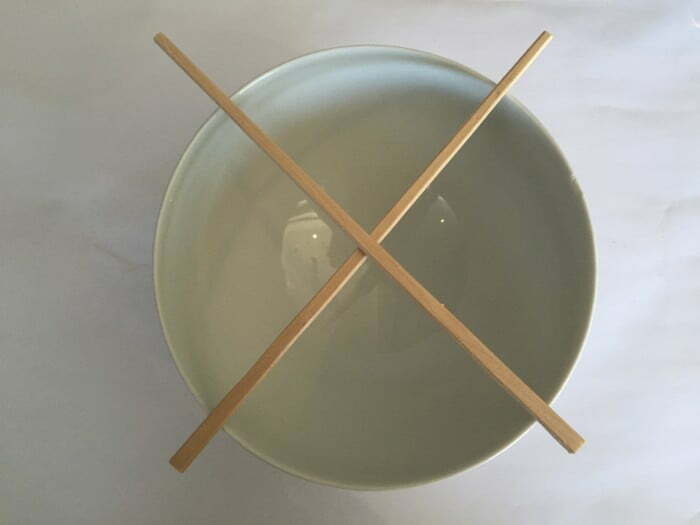 When not in use, chopsticks should be placed across your bowl or in a holder if provided. DON’T place them in a X on your bowl. DON’T stow them in the rice as it is considered a bad omen. DON’T rub them together after snapping them apart as it implies that they are cheap. DON’T use them to point, or use them as drumsticks on your bowl. Ironically, belching and slurping in China and Japan is seen as a compliment and tipping is considered bad custom. So now go forth, dine at the fanciest restaurants and you won’t break a sweat! Did we miss any? Educate us! We’d love to know any more etiquette customs we should know about.